First, it is important to keep in mind that above all reading should be enjoyable. We want to create positive associations with reading in any language. So, use these strategies and add plenty of silliness, snuggling, or whatever makes your child smile. 1. Identify core vocabulary in the story. If there are words that are central to the story that your child does not know, teach them first or make them clear as you read by pointing to the illustrations or using objects. 2. Use illustrations, objects, gestures and facial expressions to help kids understand new words. Choose stories with a limited number of new vocabulary words and a close text-to-picture correspondence. 3. Simplify the story if necessary. It is fine to reword or skip words or sentences. As your child becomes familiar with the story and acquires more vocabulary, you can include new language. 4. Read slowly. Children need time to process the sounds, connect them with the illustrations and form their own mental images. 5. Pronounce words as correctly as possible. To develop listening comprehension skills and learn new vocabulary, children need to hear correct pronunciation and natural rhythm. If your Spanish pronunciation is a work in progress, take advantage of technology. Look for books with audio CDs and ask a native speaker to record stories. At first, listen to the story with your child and take over reading when you are confident of the pronunciation. 6. Engage your child with the story by providing different ways for her to participate.Ask questions that can be answered by pointing or say a repeated phrase together. You can also give your child a toy or object that she can hold up each time she hears a key word. 7. Read the same story over and over. Repetition is essential to language learning. 8. Relate the story to your child’s life by drawing parallels as you read: Tiene un perro. Nosotros también tenemos un perro. As you go about your daily routines, refer to stories you have read. 9. Use puppets or figures to act out stories when you are playing with your child. Dramatizing the story adds movement to enhance learning and provides essential repetition of the language in context. 10. Do activities that expand on the language in the book. Look for songs, crafts or games with related vocabulary and structures. Visit Spanish Playground for more great resources for teaching Spanish to children, and don’t forget that Dia de los niños/ Día de los libros is in just a few weeks! 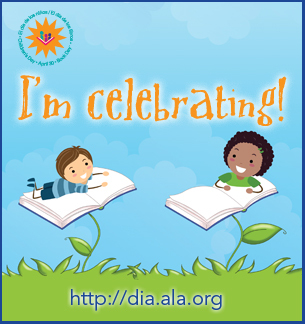 What are you doing to celebrate? What are your favorite books in Spanish to read aloud? I have been reading to my daughter in Spanish since she was a baby (she is now four) but she occasionally rebels. Thanks for these great tips! If you want to read to your child in Spanish, check out these great tips!